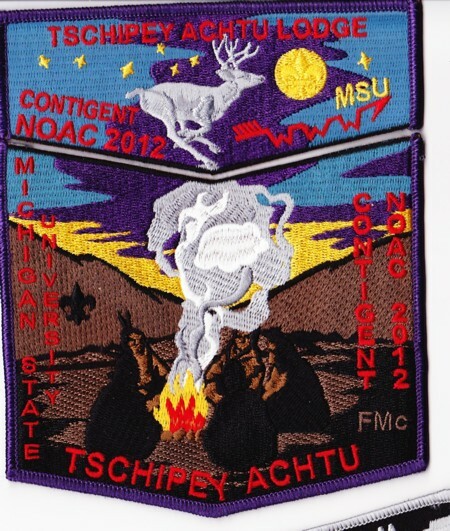 Bill Boyle sends along the second of two NOAC sets from Tschipey Achtu Lodge #397. This set, the delegate set should be designated the S9 and X5. It shares the design of the fundraiser and trader sets, but adds “Contingent” to the design. “Be master of your petty annoyances and conserve your energies for the big, worthwhile things. 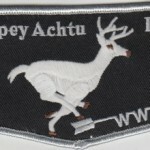 I note that the text on the patch reads “CONTIGENT”, with a missing “N”. (Same error is on both the flap and the pocket part). Does anyone know if there was a corrected version made?